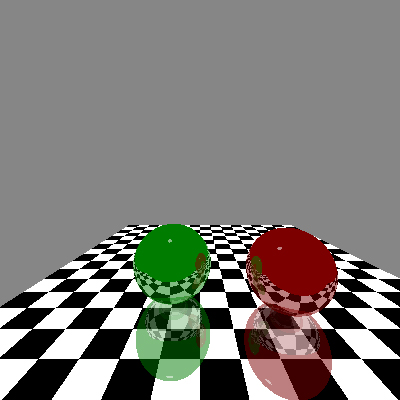 This is a simple ray tracer that only handles spheres and planes. This project was done during a summer break when I was fairly new to computer graphics. The results show the basic concepts of recursive ray tracing. However, there is a lot of room for improvement. When I ray trace images nowadays I typically use pbrt, mentalray or Maxwell.